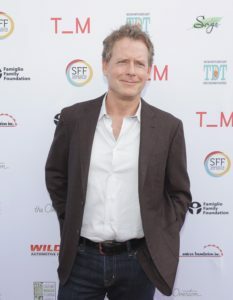 Sarasota, FL) The 21st Annual Sarasota Film Festival concluded Saturday evening with the screening of Greg Kinnear’s directorial debut film “Phil” at the Sarasota Opera House. Kinnear also appeared in a Q&A earlier in the day before a packed house at the Sage Restaurant in downtown Sarasota. “Phil” is one of those movies that is difficult to categorize. It has some very funny moments and some dramatic dark moments. The film deals with the topic of suicide creating a delicate line that Kinnear as both an actor in the lead role and director walks with great skill in leading the audience on this storytelling journey. Phil is a dentist who is dissatisfied and looking for more meaning in his life. We even see him contemplating suicide. 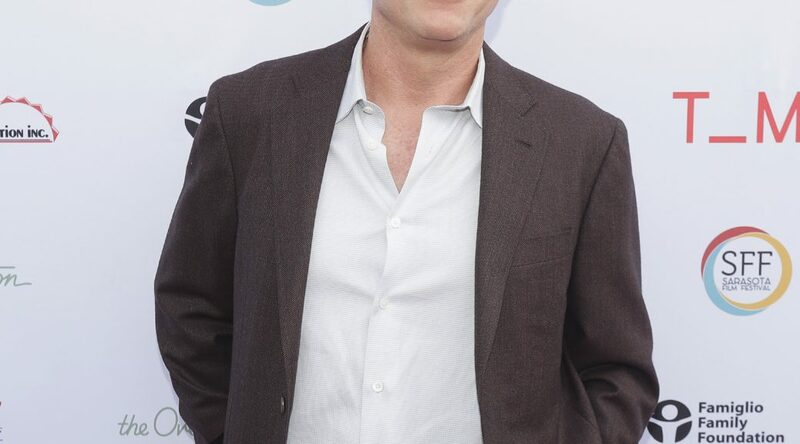 When one of his patients Michael, played by Bradley Whitford, who exudes an apparent zest for life and is seemingly very successful I career and home life comes in for a routine cleaning, it sets Phil on his journey to find that same kind of zeal in his own existence. Without giving away too much, Phil, who is divorced and has a teen-age daughter, follows Michael around for awhile and admires his home, family and especially his wife, played by Emily Mortimer. We are then shocked to see that Michael has committed suicide by hanging himself in the woods which Phil discovers while following him in his car. Phil goes to Michael’s funeral and in a funny and poignant scene, meets his widow Alicia. Phil pretends to be a friend of Michael that he knew many years ago in Greece and even takes on a Greek accent. Alicia is touched that Phil, pretending to be this friend, traveled all this way to honor her husband and invites him to her house. Phil then pretends to be a plumber and offers to finish a job Michael had begun refurbishing Alicia’s bathroom just to be able to be near her. While it sounds a bit creepy, Kinnear plays the part with such effective pathos that the audience can’t help but root for him. I’ll leave the plot there, but the film does end on a positive note and will leave you feeling good about what happened. In other events during the festival, Emmy Award winning and Tony Award winning actress Blythe Danner was honored with the SFF Icon Award and Emmy Award winning and Tony Award nominated actress Anne Heche was honored with a Career Tribute Award. The festival also celebrated the groundbreaking of its new facility to be built in downtown Sarasota.